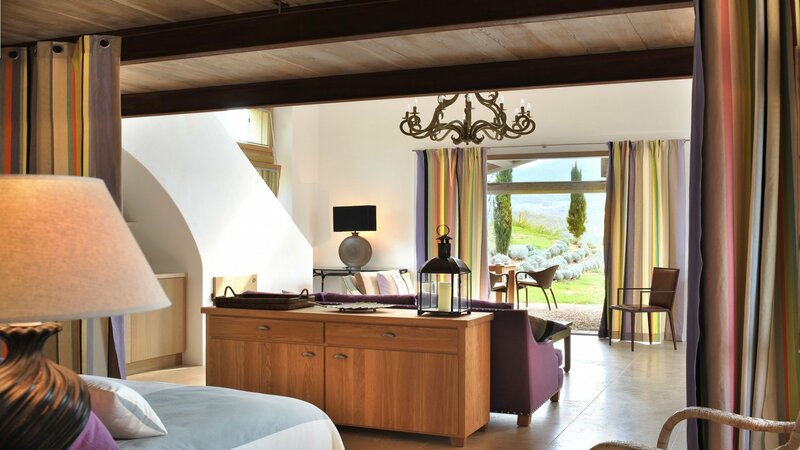 Located on a walking distance from the Reschio estate restaurant and stables, Barcolino is a lovely cottage perfect for honeymooners. 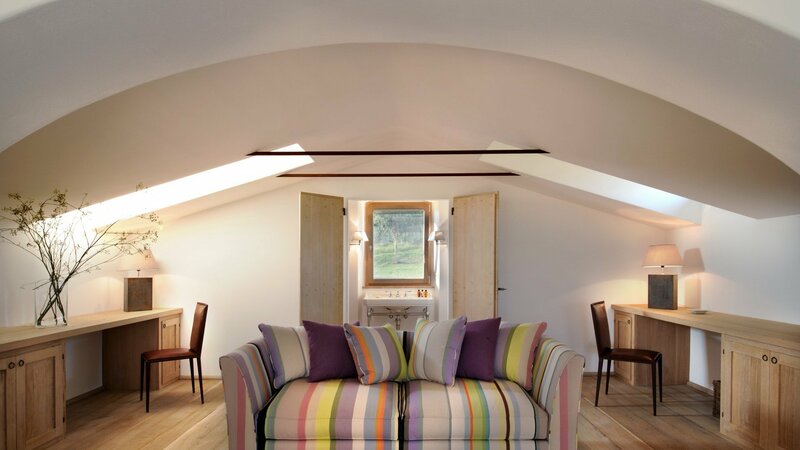 With the distinctive style and elegance of the Reschio brand, Barcolino is a spacious self-contained one-bedroom guest cottage offering privacy and comforts to its guests. 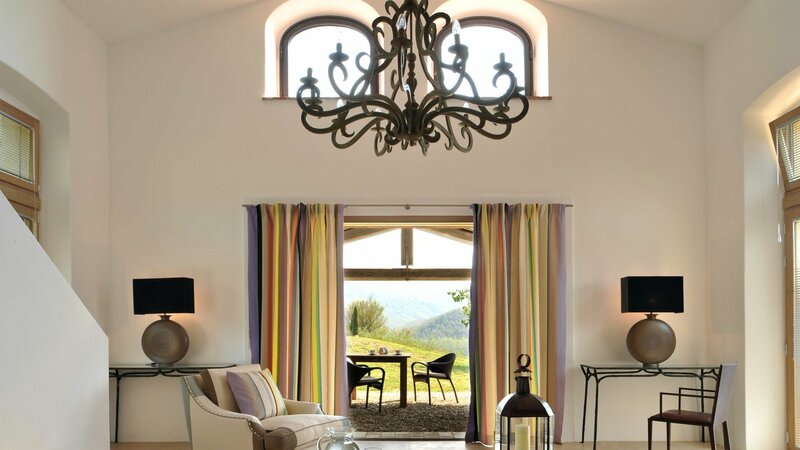 The villa is part of the Barco property, consisting of a main villa and its guests house, Barcolino, which can be rented separately when the main house is unoccupied. The private 18 x 4,5 meters swimming pool, which nestles within the gardens a few steps down from the terraces, has a custom-built spa bath and offers amazing views over the valley. 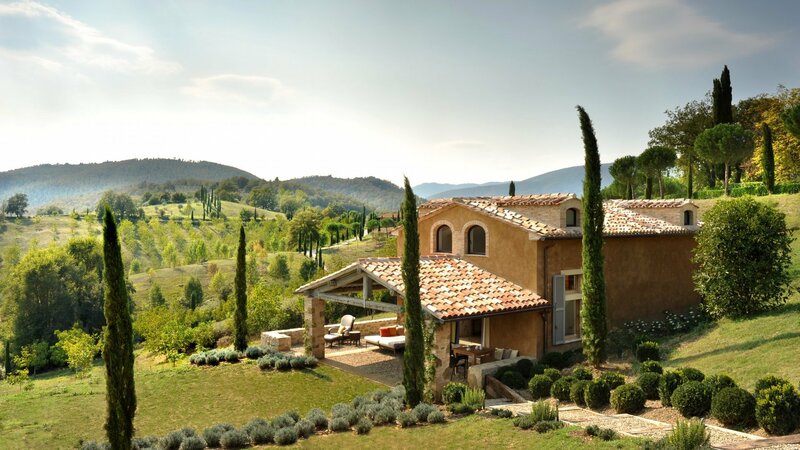 A gazebo in the garden provides a breathtaking 360° panorama that includes a close up of two castles, that of Castello di Reschio and of Sorbello across the valley in Tuscany. 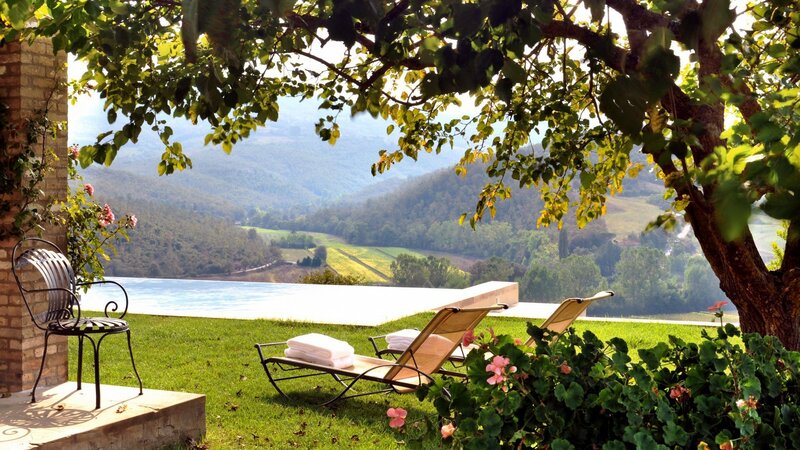 Castello di Reschio is a very private and exclusive estate and nature reserve of 2.700 acres situated between Umbria and Tuscany. 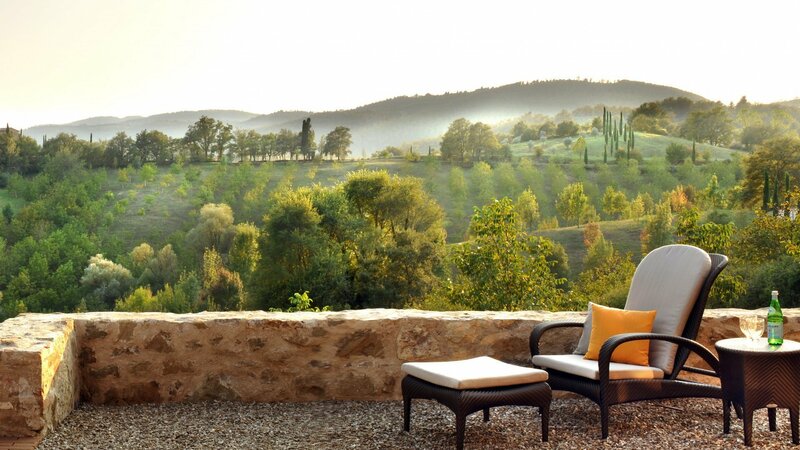 Scattered widely apart amongst the olive groves, vineyards and extensive Mediterranean oak and chestnut woods are 50 farmhouses, of which half have been restored to date creating luxury private villas. The estate offers a unique combination of top class service and a high level of privacy and security. Among the facilities offered, guests can experience horse riding and training, tennis, mountain biking, clay pigeon shooting and wild boar hunting in season. Classic Italian food can be enjoyed at the private restaurant, or a choice from the menu and wine list can be delivered to the villa directly. open plan sitting room with well equipped kitchenette and dining area. bedroom 1: open plan double bedroom area (not convertible into twin) with large en suite shower room and separate WC. living room with sofa bed and TV, guest shower room (+ extra hand held). infinity swimming pool and custom built travertine and mosaic hot tub, outdoor kitchen with dining table, breakfast table on terrace, parking space for three cars with automatic illumination, garden with aromatic plants, gazebo with views of the castles of Reschio and Sorbello. walking distance to stables and restaurant of the Reschio estate, walking distance to one of the tennis courts, chemist’s 6,5km/4miles, supermarket 7km/4,34miles, hospital in Umbertide 15,8km/9,8miles. deposit payment 50% required at the time of booking, balance 50% due 70 days before arrival. Cancellation received 70 days or more before the arrival date: charge of the 50% (deposit already paid to confirm the booking). Cancellation received less than 70 days prior to the arrival date: charge of 100% of the total due. Concierge service, wine tasting, daily maid service (1 hour per day for 6 days a week, excluding Sunday), linen change, use of pool towels. heating of house and spa bath (if required), extra maid service, cooking service, telephone. Umbertide 15km/9,3miles, Cortona 25km/15,5miles, Perugia 32km/19,9miles, Assisi 63km/39,15miles. airports: Perugia airport 47km/29,2miles, Fiumicino airport 244km/151,6miles. "A beautiful villa, perfect for two people, in a stunning location and based in a private estate, this place is perfect for people who love peace and quiet. The specification of the villa is top quality, and we had a complementary fridge full of food and a big basket of fruit when we arrived. As no-one was in the main house, we had free run of the swimming pool too." 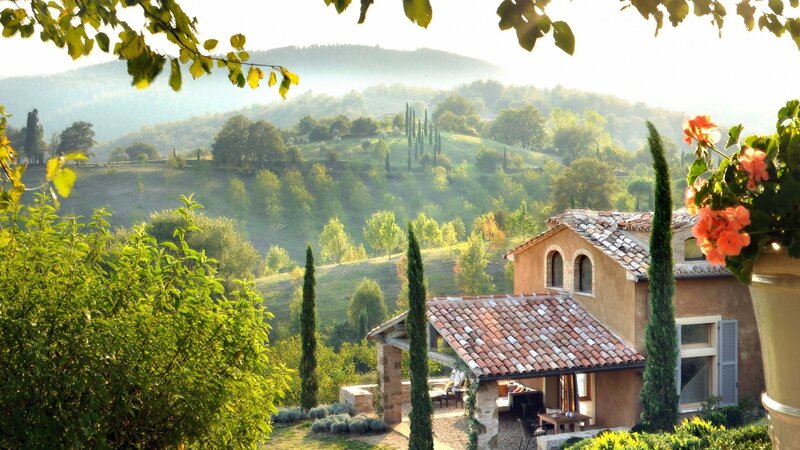 "Barcolino is beautiful! The staff on the Estate is all very nice and extremely helpful. They even have a restaurant on the property where you can go to eat or order food for the next day. Just realize that this is a studio (all one room) and the kitchenette is SMALL. There is an induction stove with two burners, an oven, a mini fridge and a sink. Also, this is the guest house, so there is no path to wheel your suitcase down. You will be walking across the lawn. The pool and grill area is located up a hill at the main house. It's not far, but it's not right out in front either. It is very quiet and peaceful no matter where you are on the property and the view is spectacular!"